If you’re after the kind of cookware that's prepared to go the distance, we think you’ll love Endurance, the new range from cookware authority, Anolon. With a hard anodised cooking surface that’s twice as hard as stainless steel, there’s no doubting Anolon Endurance cookware is built to last. But, at the same time, its gentle curves and graceful shapes, combined with the sheer attention to detail that’s gone into creating each piece make Endurance a pleasure to behold. Endurance boasts a non-stick surface, a thick base, and it’s suitable for use on any kind of cooking surface – even induction cooktops are no match for Endurance! It’s oven safe, with riveted handles complete with a silicone insert, so you won’t need to worry about burning your fingers on hot cookware. Anolon Endurance is pretty much the perfect combination of durability and functional beauty. When it comes to everyday cookware, there’s none better. Hand anodised construction is twice as strong as stainless steel. Thick aluminium base is designed for maximum heat conductivity and distribution. Non-stick surface makes cleaning up easy and is free of PFOAs and any other potentially harmful chemicals. Riveted handles with silicone handle inserts which provide extra grip and won’t heat up during use. 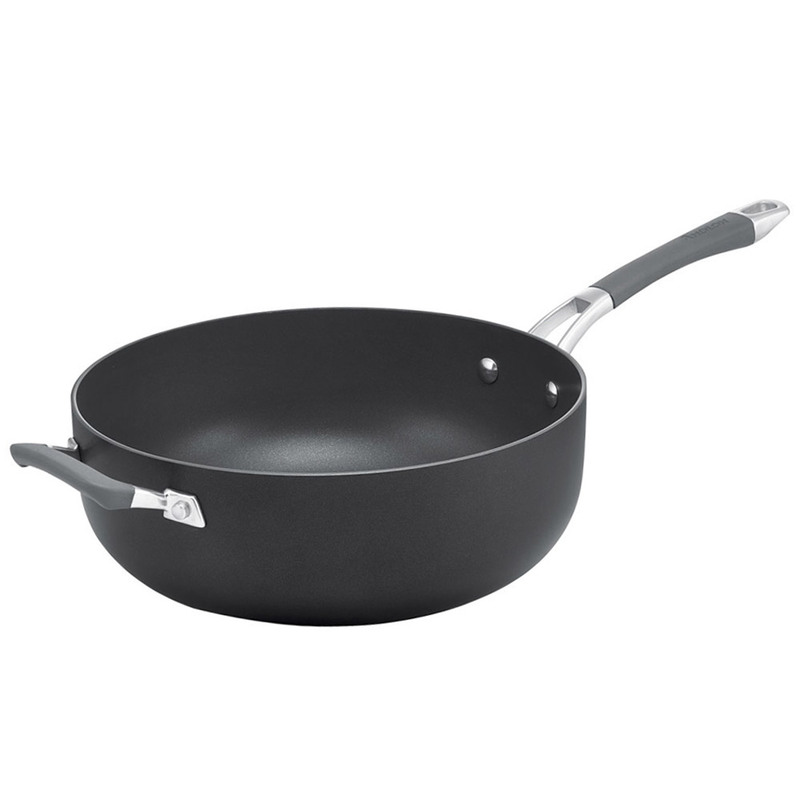 Suitable for use on all cooking surfaces, including induction! Energy friendly – for best results, use with low to medium heat. Use with wooden, silicone or nylon cooking utensils to extend the life of your cookware’s non-stick surface.